You are here: Home › Will Spinzipz Ignite Fidget Toy Craze? Spinzipz is the latest spinning toy to join the fidget toy craze. With the fidget spinner toy craze among us in full effect, you could probably guess a toy company would try to create the next best thing. Well, if you thought so, you are correct. The fidget spinners may be part of the latest toy trend but let’s be honest – they are quite limited in terms of play value. They are more of a distraction than anything else. Meet the Spinzipz, the newest toy to join the fidget toy craze, from Zing toys. Could this be the next big revolution in the world of fidget toys? The Spinzipz allows players to master the spin with skill play. They are designed for every day play. They are easy to play with but challenging to master, and this adds a ton of depth and replayability to the toy. The Spinzipz are suitable for children ages four and older. 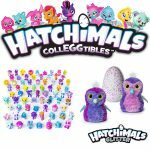 They are expected to arrive on store shelves this month at major retailers like Toys R Us, Target, Walmart, and Amazon. As you would expect with a name like Spinzipz – they spin just like the fidget spinning toys. So what’s the big deal – you’re probably wondering? Spinzipz feature skill-based play and a brand-new cool light-up feature. In fact, they feature two colors per toy – creating a dramatic effect when played in the dark. Now you can play with these new fidget toys in both the day or night. But that’s not all. These spinning toys can be connected and stacked to each other to double the fun and excitement! Will you be able to master the spin? 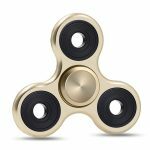 The big question remains – will this new fidget toy further ignite the fidget spinner toy craze to the next level? We’ll soon find out in time. Adding a skill dimension to the toy could be the missing element consumers are looking for in these fidget toys. Or it could be something they didn’t even know they needed until they experience the Spinzipz for themselves. 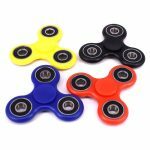 If the fidget spinners do nothing more than spin what is really driving its success? It could just be a temporary toy fad and people are influenced by others and simply want to fit in because ‘everyone else has one’. 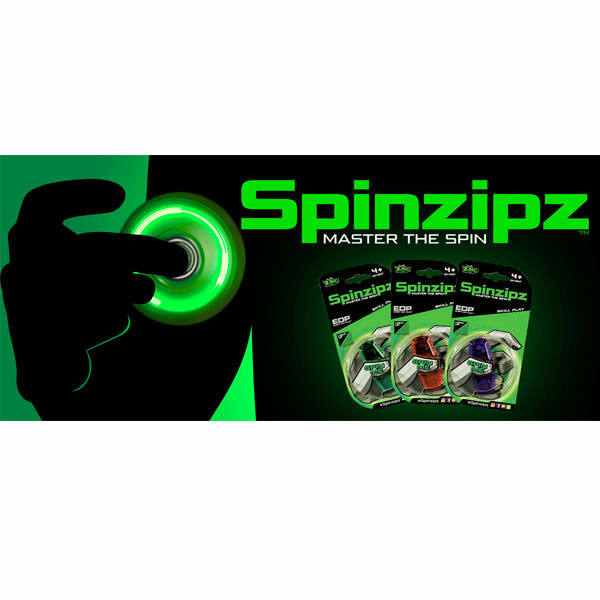 Josh Loerzel, VP of Sales and Marketing at Zing, stated that the company can easily increased production on Spinzipz to meet increased demand due to the relatively small size of their company. Because everything is unfolding very quickly in this segment, they have to be able to dynamically adapt to meet customer demand. Otherwise, they could lose out on a potentially huge business opportunity. It’s the same thing with the Nintendo Switch. It’s the hottest gaming system on the planet, yet Nintendo doesn’t have enough to meet demand. However, they are doubling production to meet demand and taking extreme measures like flying out Switches on planes all in the name of satisfying consumers. The Nintendo Switch is expected to be one of the hottest gifts this holiday season. Interestingly, this is not the first fidget type toy in the market for Zing. They also offer the Thumb Chucks, which are also skills-based toys that allow you to perform a number of cool tricks all in the palm of your hand. In fact, Thumb Chucks were honored as one of the Best Toys of Toy Fair 2017. Will they go onto appear on Toy Buzz’s Top Toys of Christmas 2017 list? We’ll have to find out later this year.